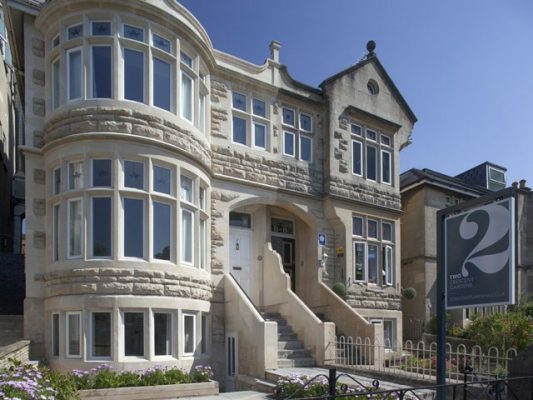 2 Crescent Gardens is a stylish guest house, which is close to the world famous Royal Crescent and within walking distance of all Bath’s main attractions. We reopened in June 2012 after a major refurbishment programme and we think you will be impressed by the results. Our individually-styled rooms are relaxing and comfortable and the perfect place to unwind. Wake up each morning to a delicious fresh breakfast made using the finest local produce and served in our bright and sunny breakfast room. To start, fruit juice, freshly prepared fruit, yoghurts along with cereal and granola Our traditional cooked breakfast is cooked to order, and features bacon, tomatoes, free range eggs, sausages all from our award winning local butcher. Smoked salmon with scrambled eggs as well as daily specials including Bircher Muslie or avocado with humous on sourdough with poached eggs. For those who prefer a lighter start to the day we also offer our guests a continental breakfast from our kitchen buffet. Parking Parking is charged at £5.00 per day per car. We offer on-site parking, and residents parking permits which allow you to park within the vicinity of the guest house. Due to our city centre location, spaces are limited, so parking must be pre-booked before your arrival. Alternatively, Charlotte Street car park has 1150 spaces available. This public car park is located directly behind our guest house. Children Children aged 5 or over are welcome.